You also get a folder synchronized between all your computers, so the latest version of your files is always available. Securely share your synchronized files. Are you a reseller? Check out our Reseller Program. “At HGST we have been bundling Memopal cloud storage offering with our drives for almost 4 years now. Memopal has developed an impressive technology and it's a pleasure to work with them." 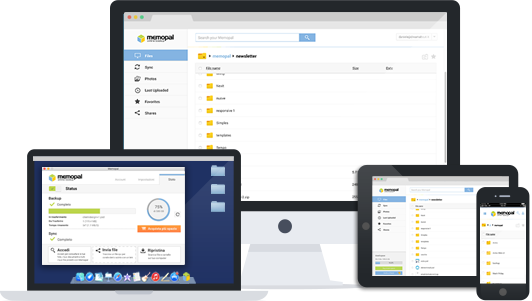 “We have created NetDisk, our cloud storage offering, using the Memopal cloud storage technology. Over 6 million users have access NetDisk though their computers, mobile devices and IPTV. It's not just a good piece of technology, it is also good people to work with." What would you do if someone stole your family pictures or your customers confidential data? Do you think it is unlikely? This is happening to millions of people just like you. Learn how to find a solution with Memopal.